Spring is now upon us and with it comes more frequent—and more powerful—thunderstorms. Texas is known for its big weather and the millions of dollars in damages storms cause each year. Dealing with property damage resulting from a storm can be difficult and emotional, that’s why we’ve prepared a quick guide that details how to prepare your home for an incoming thunderstorm. It is our hope that this guide will help you mitigate potential storm damages and prepare you to deal with the insurance adjustors that will undoubtedly offer you as little compensation as they can. Preparation is the key to defeating the potential costs of weather damage. Try to find a nice day near the end of winter where you can clean up the outside of your home to prepare it for the rigors of spring. Follow these basic steps to make sure that your home is ready for spring thunderstorms. Trim any dead limbs from surrounding trees. Dead tree limbs can break in high winds and become large pieces of flying debris that will break windows and damage cars. Be sure to trim any limbs that are above your home, driveway, or any other structures that may be damaged by falling limbs. Consider purchasing operable shutters for your home. The difference between operable shutters and static shutters is that operable shutters can close, thus protecting your windows from flying debris and hail. Clean up any trash or small items that may be cluttering your property. In a high wind scenario, small objects immediately become potential debris hazards. Get your roof inspected. If your roof is weak, then it is not equipped to handle a large hail storm. Find a local and reputable roofing contractor to inspect your roof and assess its overall health. If you have a weak roof, then holes can result from large hail. 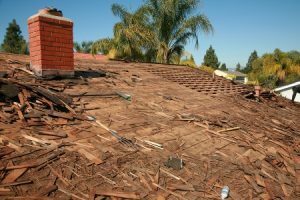 Once your roof has holes in it, then a whole new world of internal home damage can occur. If you have contracted a roofer to reinforce your roof, keep a detailed receipt of their services so that you know the full value of your new roof. This may come in handy if your roof suffers significant damage during a storm. If you have a car port instead of a garage, make sure that the supporting structures are stable and that the roof is in sturdy condition. If your car port that has a poor support system, then it is more likely to fail under high winds and heavy rains. After all of these steps have been taken to strengthen your home, carefully inspect every inch of your house, both on the inside and the outside. While you are conducting your inspection, be sure to take detailed photographs so that your property is completely and entirely recorded on camera. In the event of storm damage, insurance companies will ask you for photographic evidence of damaged items and property as proof of loss, and you need to be prepared to prove which items were damaged to maximize your insurance payout. Unfortunately, insurance companies are notorious for undervaluing your property and your loss to cut their costs. In the event that your insurance provider accuses you of overstating the value of your property, or fails to offer a fair and reasonable reimbursement, call the Parker Law Firm. Our firm handles property damage claims and is adept at dealing with stubborn insurance companies. We will fight tooth and nail to make sure that you receive a fair settlement and that you are reimbursed for the total cost of your damaged property. At the Parker Law Firm, people matter. Call us today for your Complimentary Strategy Session at (817) 503-9200. 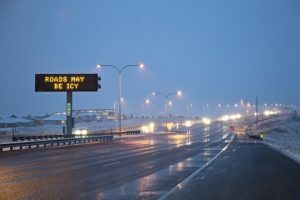 According to the U.S. Department of Transportation, weather related traffic accidents accounted for 1,311,970 traffic accidents and 6,253 deaths from 2002 to 2012. Of those fatalities, 1,152 were caused by ice covered, or slushy roads. Since winter is fast approaching and the temperatures begin to drop, the Parker Law Firm has some tips to help you safely operate your vehicle in sub-freezing conditions. Drive more slowly and allow three times more space between you and the vehicle you are following. The added distance will give you more time to stop without rear-ending the car in front of you. When you have to stop your vehicle, break gently to avoid skidding. If the roads are icy you should never break abruptly, as this will most likely lead to your car sliding out of control. When driving in the snow or sleet, it is important to consider your visibility. Before you leave your house, make sure that your windshield is clean, your windshield wipers are in working order and that your headlights are on. Increased visibility can help you avoid breaking quickly and skidding. Before hitting the road, warm up your car and make sure that the windshield has been scraped clean of all ice. Keeping your mirrors and windows defrosted will also help your visibility. Avoid using cruise control and operate your car in the lower gears. Driving your vehicle in low gear will give you more traction and this is imperative when driving on icy hills or mountain roads. Use extreme caution when driving over an icy bridge or overpass. Even if the temperature is above freezing, bridges can retain icy much longer than grounded roads. Do not pass snow plows or sanding trucks. First, the road in front of the sanding truck is more likely worse than it is behind it. Second, these trucks have poor visibility and passing any vehicle—especially large ones—in icy conditions is extremely dangerous. If you or a loved one is involved in a traffic accident that has resulted from inclement weather, the first thing you need to do is seek proper medical attention. After ensuring that you and your family are safe, call the Parker Law Firm for a Complimentary Strategy Session. We have a team of seasoned traffic accident attorneys that will discuss your situation with you, and help you determine the best course of action. At the Parker Law Firm, People Matter, and our primary concern is your safety and fair treatment under the law. Could A Recovering Economy Increase Accident Fatality Rates? As the economy recovers, accident rates could rise again. Over the past two years, accident rates in many areas of the country have dropped due to fewer vehicles on the road. However, as people find work the number of traffic fatalities may increase with the higher number of cars on the road. Over the past six years, traffic fatalities dropped 26 percent, from 43,510 to 32,310. Analysts are predicting that as the economy strengthens and more people are on the road for work and vacations and others return to their old habits of driving without worrying about the cost, there will be a rise in the number of traffic accidents and deaths. One of the first things that people do when the economy begins to recover is to drive and travel more. 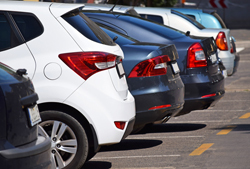 When times get hard, people stop driving gas-guzzlers, like sports utility vehicles and pickup trucks, even though they are larger and safer vehicles, and move toward purchasing smaller fuel- efficient sedans. Smaller cars, although less expensive to run, increase a person’s injury and fatality risks. What Classifies As A Hit And Run Accident In The State Of Texas? Any time someone makes physical contact with their car against your car and then flees the scene that is a hit and run. What Are Some Misunderstandings Or Misconceptions People Have About Hit And Run Accidents? The biggest misconception is that they can somehow figure out who hit you. Unless you have witnessed or unless someone comes forward, the chances of finding out who actually hit you are pretty slim. That is all the more reason to get a Bedford car accident attorney involved immediately. Also, even if you have UI/UIM coverage, you have to be sure that you can prove that the damage to your car was as a result of a hit and run as opposed to just maybe you running into something and claiming it was a hit and run. Remember, the insurance company always wants to blame you. Some people do not understand even though it was a hit and run, there may not be much that can be done about it or that they are going to have to fight their own insurance company to even get compensated. What Is The Role Of An Attorney In These Cases? If you truly cannot locate the person who hit you, then you may need an attorney to just focus on the UI/UIM coverage that hopefully you have purchased. Unfortunately, a lot of times people try to save money and do not purchase UI/UIM insurance, in which case there is not much that can be done. Who Can Be Held Responsible In A Fort Worth Hit-and-run Accident If You Cannot Find The Person Who Hit You? If you cannot find the person who hit you and ran, then nobody is going to be held responsible. You can hope to recover under your UI/UIM coverage if you purchased it. IF you have not, then there is absolutely nothing that can be done. Even if you have purchased it, you still might have a fight on your hands with your own insurance company when they dispute the fact that someone else actually hit your car. Does the Uninsured Underinsured Motorist Coverage Cover Hit and Run Accidents As Well? It does as long as there was physical contact between the automobiles. Often times, people might call a hit and run where a pickup truck is driving in front of them and it is moving a bunch of furniture and a piece of the furniture falls out into the road right in front of you and you hit it, the truck driver continues to move on without even realizing what just happened. They might not even know until they get to their location that they have lost part of their furniture. In that situation, the UI/UIM insurance will not cover because there was no physical contact between the automobiles. Something falling out of a truck which is not part of the vehicle does not count for purposes of UI/UIM coverage. If There Is No Evidence Or Witness To The Accident, Is There Really Anything That You Can Do Outside Of The Uninsured, Underinsured Motorist Coverage To Recoup Anything Financially? The only thing that you can do is to find some camera that might have caught the accident or someone comes forward. If there are no witnesses and you cannot identify the vehicle that hit you, then there is not much you can do. That is why you need to have your own insurance to make sure you are covered. Can Someone Recover Any Compensation For Any Injuries Or Damages From A Hit And Run Accident Or Uninsured Motorist Accident? Why Do You Still Need An Attorney? You probably do not need an attorney in that type of situation and you probably will not even be able to find an attorney who would help you. However, that does not mean that you should not contact an attorney because there could be some angles to look at that you as a layperson may not appreciate because you are not in this business. By contacting a car accident attorney, you can check to be sure that you have covered all of your options. Many times, an attorney may not be able to help, but they can at least give you the comfort of knowing that you have tried everything. Get Answers to Common Questions about Hit and Run Accidents in Texas or call the Parker Law Firm for a Complimentary Personal Injury Strategy Session at (817) 503-9200 and get the information and legal answers you’re seeking. What Makes A Viable Car Accident Case? How Long Do These Cases Take? How Long Do These Cases Usually Take To Be Resolved? Each case is different. A typical case is going to last three to four months after your treatment finishes. Most clients do not understand at least initially that you cannot settle with the insurance company until you finish treating. For example, if you have broken your arm as a result of the air bag that deployed in an accident, the doctor sets your arm and it seems to be healing just fine and you go out and settle the case before you are released from your doctor. Then if an infection develops and it does not become apparent until after you settle the case. The infection may cause a lot more problems and you might need a lot more treatment, but since you have settled the case, you will not get any more recovery, it is a closed case. Therefore, the answer to the question about how does long does it typically take depends on how long is it going to take for you to quit treatment. Once you have finished treatment, then a demand package is put together. At Parker Law Firm, we put a very elaborate demand package together for each and every client and claim, unique and individual to that claim and then send it off to the insurance company. It usually takes anywhere from thirty up to ninety days for that process to occur. If suit has to be filed in the case, then you can expect it to last two years. Most lawsuits do not take that long, but it is better that you plan on two years rather than having the expectation that it will only be months and then it takes two years. What Components of a Case Make up a Viable Case Versus One That is Probably Not Going Too Far? It requires liability on the part of the person who hit you. It requires injuries, usually significant injuries. Thirdly, it has to be proven that the injuries were caused by the wreck. Everybody knows that it is illegal to drink and drive. But if a drunk driver runs in to you and does not cause any injury to you what so ever, then you do not have a viable case, because you do not have one of the three elements, the injury part of it. Whereas if a little old grandmother who is just minding her business, but inadvertently runs in to the back of your car, quite innocently, but still negligent none the less, and causes severe harm to you, that is a much more viable case than the drunk driver that ran in to you where there were no injuries. Therefore, you got to have all three prongs and that is what attorneys always look for: Injury, liability and that the liability caused that injury, it was not preexisting in some respects. If you already had a bad back and needed surgery when they ran in to you, then the element of causation becomes more problematic and may affect the viability of the case. Read on to find out What Makes a Viable Auto Accident Case and How Long Do These Cases Take to Resolve. For details, call the Parker Law Firm for a Complimentary Personal Injury Strategy Session at (817) 503-9200 and get the information and legal answers you’re seeking. What Are Some Things To Take Care Of In An Car Accident Case? How Important Is It For Someone To Follow The Medical Advice Of Their Doctors? Often times, the practicalities of daily living might prevent someone from being able to go to the doctor. Many times the injured are the sole bread winners of the family and they may be working through the pain because they cannot afford to take off work. Even if that is the case, you really need to find the opportunity and time at night, or on the weekends to seek treatment. Skipping your medical appointments will only jeopardize your case. If the doctor orders medical treatment you need to try your very best to follow through with it. Often times, when you do not go to an appointment or you miss appointments, the insurance companies and defense attorneys consider that a gap in treatment or a gap in care and they use that to demonstrate that you are really not seriously injured. That is because if you really are hurt, you would want to go see a doctor. Remember, the insurance companies will use anything and everything against you to minimize your claim. How Important Are The Evidence And Witnesses That Are Involved In Auto Accident Cases? Evidence is extremely important in cases where there is a he-said she-said type situation, which is often the case. Even in rear end collisions, we often hear the person who hit you claiming that you just jammed on your breaks suddenly and they could not avoid hitting you. If there are witnesses to an inter-section collision, you want to seek their information and what they can tell you about who had the green light versus the red light? All of those factors are extremely important. If there are witnesses that can testify about the at-fault party’s reckless driving then the likelihood of a jury or even the adjustor believing your version of events is greatly enhanced. Therefore, it is very important to get witnesses and gather any evidence that there might be. Also, the number one reason of contacting an attorney early in the process is so that witness statements and evidence can be gathered. Remember, the insurance company is not there to help you. They are there to protect their insured and protect their profits. If they think they can avoid the liability of a claim, they will do it. Read about some of the Things to Take Care of in Auto Accident Cases or call the Parker Law Firm for a Complimentary Personal Injury Strategy Session at (817) 503-9200 and get the information and legal answers you’re seeking. 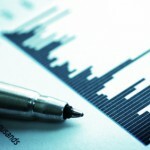 What Should You Do In Terms Of The Insurance Companies If You Are Involved In An Auto Accident? Do You Have To Notify Your Own Insurance Company Or The Other Party’s Insurance Companies? It is always recommended to contact the other person’s insurance first. If you wind up contacting your own insurance company and they pay the entire claim, it may count against you and increase your rates. Therefore, you always want to see first and foremost about filing a claim against the person who caused the accident. Often times, you will need to call your insurance company to collect the PIP insurance or the Med Payment insurance which you purchased to help you with your out of pocket expenses. Those claims do not count as a mark against you and your insurance. It is only if they fix the car or pay on the claim that count against you. So, always contact the other person’s insurance to open a claim, get a claim processed and find out what their position is going to be. What Should Someone Do If The Other Party’s Insurance Company Contacts Them? Never ever give a statement to the insurance company unless you are represented by an attorney and they are present to help you. Parker Law Firm strongly advises against giving any statements unless and until you are fully ready. One of the things you do not want to do is give a statement when you are hurt, you are still injured or you might be under medication. There may be things that you leave out or forget. The number one thing to remember is that when you are talking to the other person’s insurance company, they are not your friend. They are trying to get information that will assist them in either denying your claim out right or minimizing the amount they are going to have to pay on the claim based on things you may have inadvertently and very innocently said and that will be taken out of context. If You Feel Fine Initially But Start Having Severe Pain Days Later That Requires Medical Treatment, Do You Still Have A Case? You do, but the longer the time goes by that you do not seek medical treatment, the more suspect the insurance companies become of your claim of injury. Moreover, jury’s also become more suspect. That is why it is so important to be sure to go and get checked out by medical professional as soon as possible if you are hurt. Often times as a result of the adrenaline from a crash, you will not realize that you have been hurt or something will not be readily apparent to you until the next day or the day after. That is when you want to be sure to go and get checked out. Many people feel like they are okay and that they will get better in a few days and often times that is the case. However, you should still go and get checked out to be sure that there are no underlying problems. Any delay will not only affect your physical recovery and your wellbeing, but the delay certainly has the potential of diminishing your ability to get a full recovery. Attorney Brad Parker Answers Some Common Questions Asked By Someone Who Has Been In An Auto Accident. For more information, call the Parker Law Firm for a Complimentary Personal Injury Strategy Session at (817) 503-9200 and get the information and legal answers you’re seeking. What Are The Most Common Types Of Accidents Seen In Texas? The types of accidents commonly seen involve distracted drivers. One can hardly drive down the road without seeing somebody on their telephone or looking at a text on their smartphone. Many of the car wreck cases handled by Parker Law Firm involve distracted driving. Studies have repeatedly shown that distracted driving is just as dangerous driving drunk. Distracted diving could be anything, including eating, drinking, playing with the radio, or looking at your cellphone. The vast numbers of cellphones being used has become a huge problem with driving and texting or talking at the same time. What Is The Law In Texas Right Now On Cellphone Drivers? Different communities and localities have different laws in place. Some have laws that will prevent you from talking on a cellphone that is not hands free, while other communities prohibit the use completely while driving. Texas as a state, does not have any uniform law in place other than you cannot talk on a cell phone in a school zone. What Is A No-Fault State And How Does That Apply In Texas? Texas is NOT a No-Fault state. No-Fault means that rather than relying on the person who hits you for their insurance coverage, you rely on your own coverage! Texas is known as a third-party state which means that the person who causes the accident is the one primarily liable for any injuries caused by the crash. In Texas, there is form of No-Fault which is commonly referred to as Personal Injury Protection (PIP) or Medical Payment Coverage. You can buy that coverage yourself and it will help with some of the deductibles and out of pocket co-pays. Typically, you will see PIP offered in a range of $2,500 to $5,000. It is a very good insurance to buy because it will help you with your out of pocket expenses immediately. Since Texas is NOT a No-Fault state, attorneys look to the at fault party to compensate you for your losses. What Is The Time Limit For Bringing A Personal Injury Lawsuit In Texas? You have two years from the date of the crash in which you have to bring suit if necessary. Unfortunately, a lot of people think that they do not need to get a lawyer right away because they have two years in order to file a lawsuit, which is not true at all. Many times, it is necessary to get a lawyer involved immediately so that evidence can be preserved, witness statements can be obtained and to work out the medical liens and subrogation issues. If you wait until the last minute, other problems can arise, such as the defendant driver or the person who caused the crash may have moved and cannot be located. In case you cannot find them, then you are not going to be able to sue them. Even if you file suit before the expiration of the two year limitations period, the law requires service on the defendant immediately which can lead to the suit being dismissed if not served extremely quickly. So the simple answer is, it is two years from the day of the crash, but if you have been seriously injured in an automobile crash, you need to seek counsel immediately. Delays only work to hurt your case. Get Answers to Commonly Asked Questions about Auto Accidents in Texas or call the Parker Law Firm for a Complimentary Personal Injury Strategy Session at (817) 503-9200 and get the information and legal answers you’re seeking.